This seam is on block 61 of the I dropped the Button Box Quilt. It is a piece of velvet ribbon that I attached then worked bullion rose buds along the ribbon. 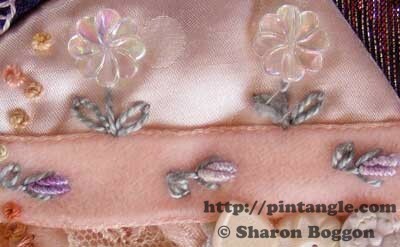 Along one side of the ribbon, I added detached chain stitch and some novelty beads that are shaped like a flower.